Main Image featuring Cristina Zani (bangles), Jude Gove (leather pouch), Natalie J Wood (pale pink pourer and beaker), Emma McDowall (coloured concrete beaker and plate), Rebecca Wilson (earrings), Karolina Baines (necklace). 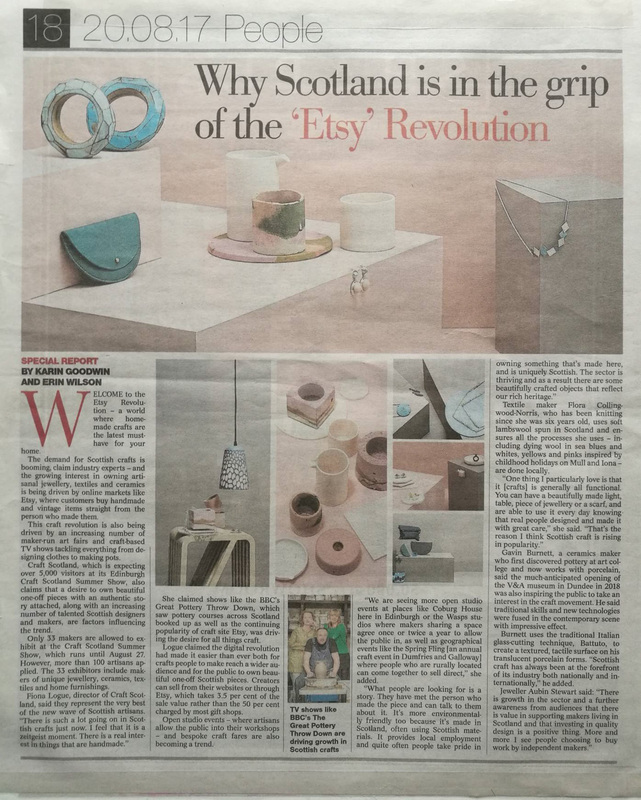 Left Image featuring Emma McDowall (concrete planters), Gavin Burnett (lampshade), Hame (wooden stool), Natalie J Wood (plate and beaker), Ruth Leslie (necklace) and Scarlett Cohen French (earrings). Top Right Image featuring Karolina Baines (enamelled necklaces), Hannah Grace Ryan (earrings), Natalie J Wood (ceramic plate). Middle Right Image featuring Natalie J Wood (ceramic plates & pourer (on grey plinth)), Scarlett Cohen-French (circle earrings), Karolina Baines (white & gold earrings), Rebecca Wilson (necklace), Hannah Grace Ryan (ring). Bottom Right Image featuring HAME (wooden stool), Natalie J Wood (ceramic plate and beaker (just seen), Ruth Leslie (necklace) Emma McDowall (concrete planters), Gavin Burnett (ceramic lampshade), Scarlett Cohen French (earrings).